MEGABLOK, has the Certificate UNE EN ISO 9001:2008 and UNE EN ISO 14001:2004 approved by Bureau Veritas Quality International España, S.A., according to the requirements of the decreed norms. 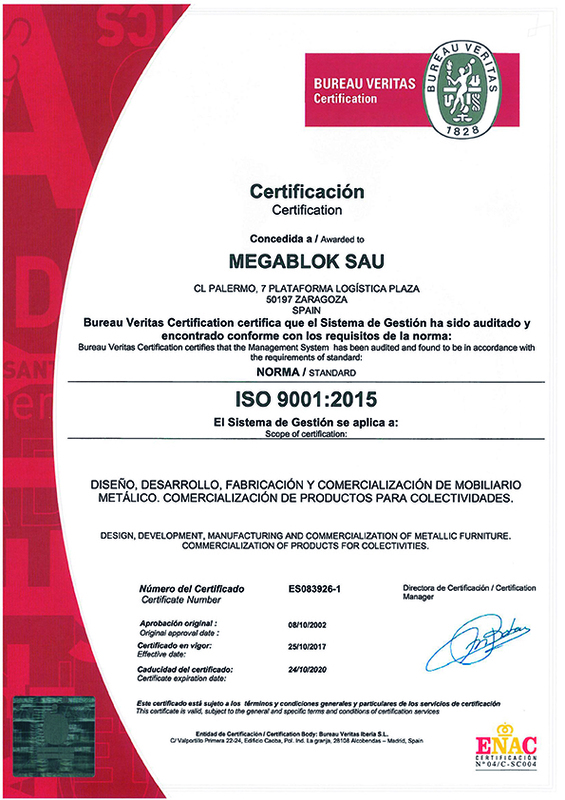 MEGABLOK, has the Certificate UNE EN ISO 9001:2015 approved by Bureau Veritas Quality International España, S.A., according to the requirements of the decreed norms. 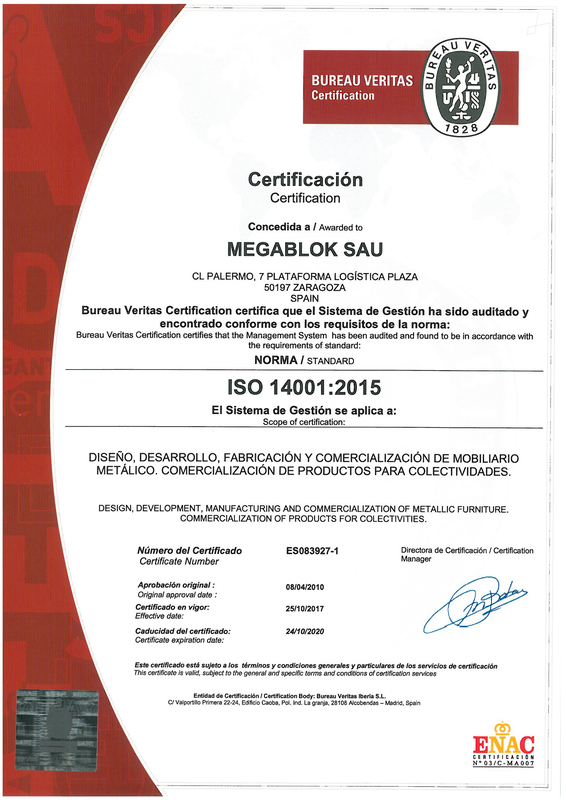 MEGABLOK, has the Certificate UNE EN ISO 14001:2015 approved by Bureau Veritas Quality International España, S.A., according to the requirements of the decreed norms. 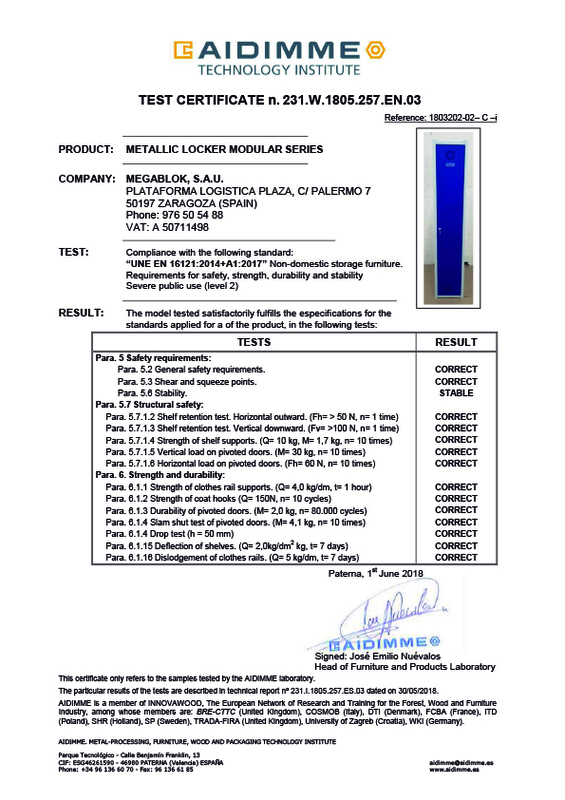 As a clear commitment to Quality, our metal lockers MODULAR SERIES have just obtained the certification UNE EN 16121:2014+A1:2017, Level 2 severe use, certified by AIDIMME. At continuous improvement…! Thank you very much for your trust in us! 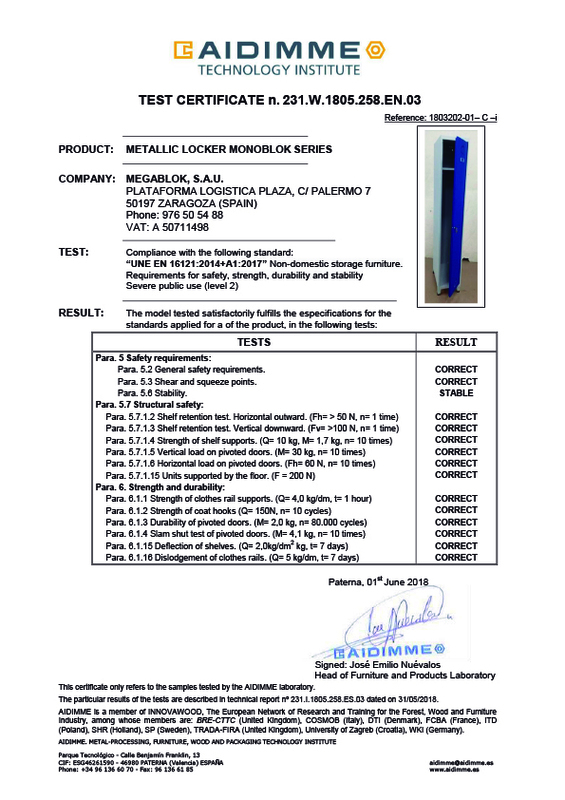 As a clear commitment to Quality, our metal lockers MONOBLOK SERIES have just obtained the certification UNE EN 16121:2014+A1:2017, Level 2 severe use, certified by AIDIMME. At continuous improvement…! Thank you very much for your trust in us!